Bermuda Hospitals Board [BHB] today announced the appointment of Dr Chikezie Dean Okereke as Chief of Emergency and Hyperbaric Services, effective Monday 2 July 2018, on a three year contract. He replaces Dr Edward Schultz who has retired from BHB. BHB said, “Dr Okereke has been employed in the Emergency Department of King Edward VII Hospital since August 2016. “After graduating with a Bachelor of Medicine and Surgery from the University of Nigeria College of Medicine, Dr Okereke completed postgraduate Medical training in the UK obtaining a Fellowship in Surgery from the Royal College of Surgeons of Edinburgh and a Fellowship in Emergency Medicine from the Royal College of Emergency Medicine. “He has also completed a Masters in Medical Education from the University of Leeds. Prior to joining BHB, Dr Okereke worked as a substantive Consultant in Emergency Medicine at the Mid-Yorkshire NHS Trust in the UK for over sixteen years. During this period, he held a number of senior medical leadership and training positions within the Trust, the West Yorkshire region and nationally. 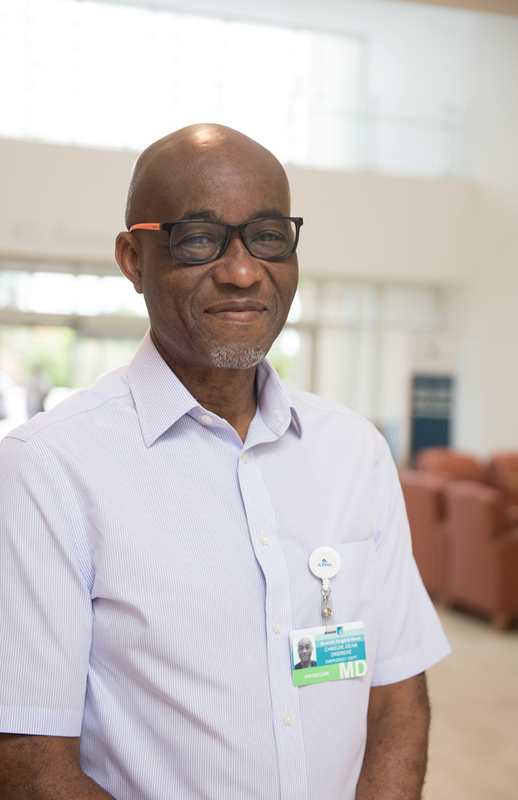 Dr Michael Richmond, Chief of Staff, comments: “We are very pleased to announce Dr Chikezie Dean Okereke as the new Chief of Emergency and Hyperbaric Services. We are grateful to Dr Schultz, not only for his long service at BHB, but for continuing in position until this transition could take place.